The disagreement between the village of Whitehall and the Whitehall Volunteer Fire Company continues to heat up and could ignite into a full-blown lawsuit. The latest development came when Mayor Phil Smith delivered the village’s decision on whether it would sign off on a $175,000 loan the fire company is seeking for building maintenance: No. The Whitehall Volunteer Fire Co. owns the Skenesborough Drive firehouse but the village owns the property it’s built on. “He said ‘I have bad news for you,’” said Brian Brooks Sr., president of the fire company. 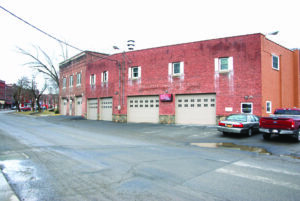 The issue is rooted in the fact that while the fire company owns the fire house, it does not own the property on which the building is situated, the village does. Smith had committed to getting an answer for Brooks at the last village board meeting, at which Smith had been advised by village attorney Erika Sellar-Ryan to contact New York Conference of Mayors, which in turn contacted the state Comptroller’s office to determine the proper course. Shortly after learning the village’s decision, Brooks went to the municipal offices and delivered a letter to Smith “basically threatening to sue the village for fraud or adverse possession of the property,” Smith said.